AKINDELE ‘AKIVA’ OLANREWAJU BANKOLE, a German-born Nigerian-American, was introduced to Music theory under the teaching of his uncle Ayo Bankole (1935 – 1976) in the 1970s in Lagos. The unfortunate death of his uncle in 1976 brought his musical learning to a stop. However, in his early 20s, he studied Music formally at Sacramento State University in California, under Professor Luis Clayson (Dramatic Tenor). As a Tenor himself, Bankole began formal singing with the Sacramento State University Opera Workshop where he had his Opera debut in the lead role of ‘Smiley’ in the Jumping Frog of Calaveras County, a story by Mark Twain. Bankole later joined Sacramento City Opera and thereafter, Opera San Jose. 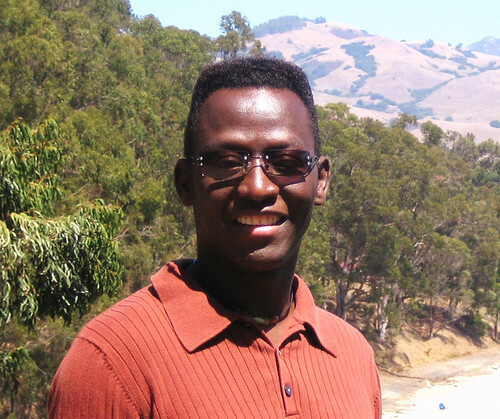 As a composer, Bankole writes his vocal lyrics in several languages, including Yoruba (his native language). He has written several arts songs; piano, vocal, choral, and orchestral works; and is currently working on an Opera Lola’s Wedding. In 2010, Bankole composed four new orchestral works, including ‘HaMakom’ a five-movement piece, dedicated to his mother Dr (Mrs.) Agnes Yetunde Bankole, who died on the 21st of December, 2009. As part of his compositional repertoire, Bankole combines his traditional Yoruba tribe tonal and rhythmic melodies with western classical genre, which he calls “Classical Fusion”.